Modern technology offers us new and exciting communication solutions. Nevertheless, coaching and therapy are still most effective when undertaken in direct face-to-face contact. In direct contact we can understand the nonverbal signals of our counterpart. Working together in a protected space can enhance trust and bring security. Furthermore, working in a neutral space outside of the familiar environment can also make you more open to new things. 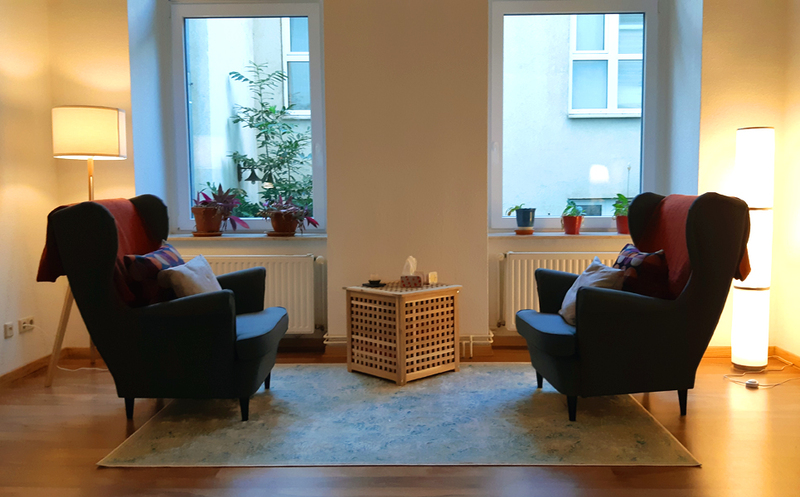 The well-designed counselling rooms are located easily accessible in the district of Berlin Mitte, just a few minutes walk from the U6 station “Schwartzkopffstraße”. Please ring at “Counselling”. The practice is located on the ground level, after the mailboxes right.